The only thing more beautiful than a sunset is a sunrise. i found this site randomly broswing google.. the 1.6 kits are totally useless to the luv... but if you decided to bore out a LUV block to fit impulse pistions the 1.9 kit would be a great option! forged pistions, copper gasket, rings, wrist pins, the timing belt wouldnt do much for ya unless you swapped to pulleys but over all i like the sound of that kit! the 8:1 or 8.5:1 compression kits would be great if your planning on running some boost. okay.... stock bore is 85mm... would i be able to bore it 2mm over to run impulse pistons or would that leave the walls too thin for a bit of boost?? i think 2mm is the equivalent of .080 over. After one has completed all of these upgrades what can we get rid of? I know I have seen several posts on this topic but I have never really seen a good answer. I think we need info in this post or make a separate sticky. For instance I have done just about all of these upgrades, MSD, Weber, OFFY, desmogged, headers, 5 spd , Pertronix…..
Now im getting a motor (spare) back from the machine shop it’s been cleaned up bored and all of that but I want to clean up the mess in my engine compartment. Witch of the crap tons of relays and BS can I take out? So after all of this what can I get rid of…. Just wanted to know if someone had done the work already and was willing to share? Otherwise, I’m going to start doing it step by step trial and error. 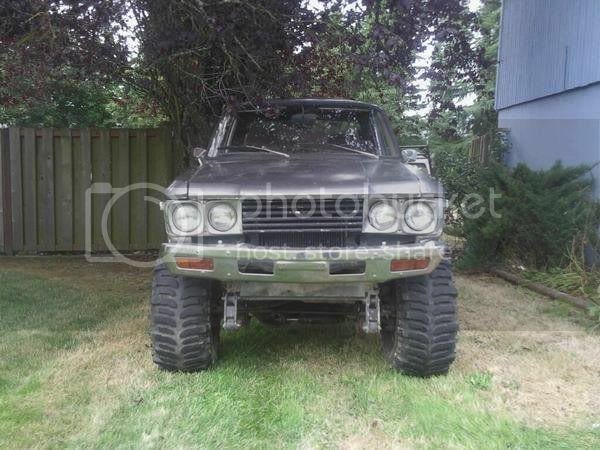 ok so i have a 76 straight axle im pullin the motor this weekened and im gonna rebuild it were should i start im tryin to do it under 800 bucks if possible but still get some power>?? this is my first time ever rebuilding a motor tho so i dunno whats best? 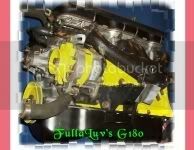 I need an offy intake for g180? Hi and welcome to the forum. I sent you a message about the Offy intakes. 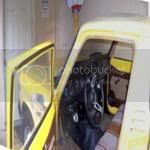 How much horse power and torque could I get out of a 80 1.8 with a weber carb and pacesetter header ? The numbers would be less than you want out of it but it would have more pep than stock. I didnt have the pacesetter but i had an electronic ignition and a weber. The weber made a noticable difference in power delivery but it was still gutless. Pacesetter would probably help a bit. If you want to see all the ins and outs of getting power from yours check out ozgemini.com theres a 600hp turbo g180 there. Lot of 200+ hp t25/t28 turbo ones. You could probably get there with weber, pacesetter, pertronix ignition upgrade and if that doesnt get you there. Delta cams cam regrind, decked head, g200 valves, offy intake manifold... ctmandu did yamaha R1 individual carbs and programmable ignition control. All kindsa options out there... g180 head on g200 block machined for g200 valves. Re the G200 valves: per my research the G180 head '76-'79 had 42.4mm intake valves, 34mm exhaust. The '80-'83 G180 head and all G200 heads '84-'87 had 40.4mm intake valves & the same 34mm exhaust as earlier G180 heads (Can someone confirm these numbers?). This larger 42.4mm intake in the earlier G180 head is the same intake used in the 2.3L 4ZD1. As it turns out all G180, G200, 4ZD1 & 4ZE1 valves are very close to the same overall length and stem diameter is the same. I can't confirm there is enough head material to machine the valve seat pocket for the larger valve seats, but if there is it looks like the bigger valves would fit. 4ZD1 valves are 42.4/36mm, 4ZE1 valves are 44.2/37mm. Anyone know if this is a possibility? Yep, an I Mark... It has the G200 with a 32/36 Weber, 2 1/2" exhaust and flowmaster on a modified stock exhaust manifold. No more smog stuff. It runs low 17s at the 1320 with a 5 speed. 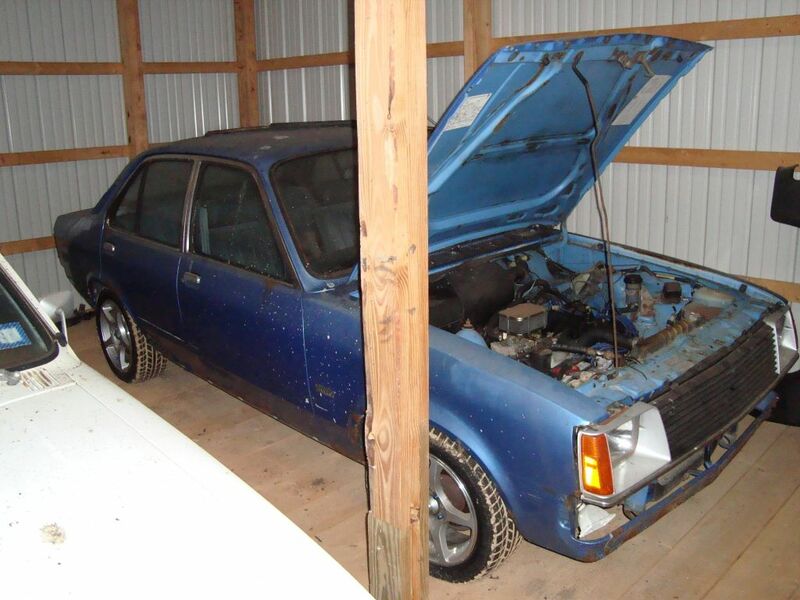 This is a very rare Buick (Isuzu) Opel - 38 K original miles, 5 speed and stock G200. 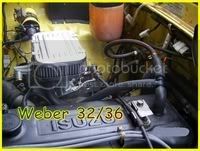 I have an Offy intake (new) and several Webers, 3 sets of LUV headers (new) and various carb adapters for the G180/200. Those look like a Chevy Chevette or the Pontiac version. 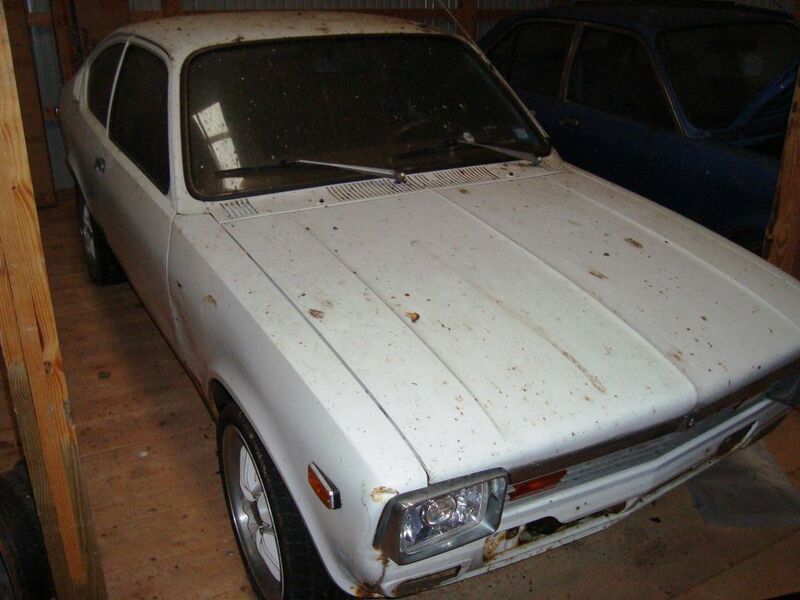 The Chevette also had a Isuzu diesel engine option for it. '82 up came with a 5 speed transmission. I had a Chevtte when I went to tech college, it was a non interface engine. I could change the timing belt on the road side in 15 minutes. I carried a spare. Don't flame but it was a good care at the time for me. Does anyone know if any of the up grade parts will work on a stock 1.8l in a 72 luv? I don't think so. The early and late G180's are a different animal.